Quip delivers well designed toothbrushes and toothpaste with replacement heads sent every three months. 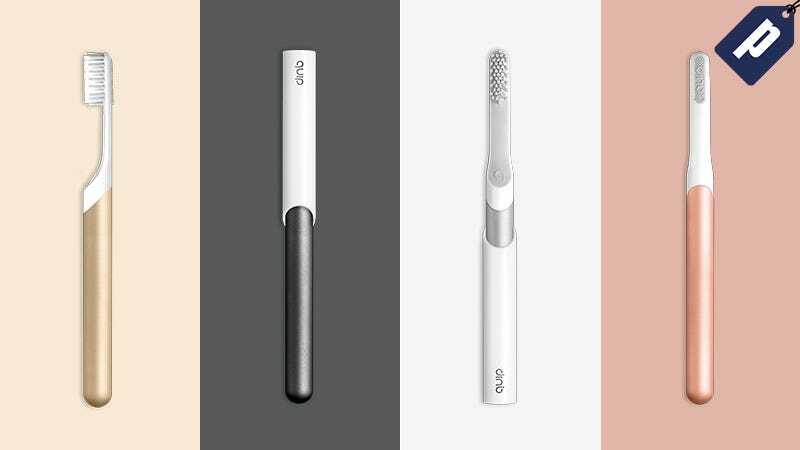 Get Quip for $25 and receive a free brush head replacement and toothpaste refill, plus free shipping. Quip has soft vibrating bristle heads that are easy on your gums with a two-minute timer and guiding pulses every 30 seconds to help correct technique. And with new heads delivered automatically, you’ll know exactly when to change the head, always staying fresh. Plus the toothpaste has active flouride ingredients for fighting cavities without enamel damaging additives. Get Quip now and permanently check some items off your annoying pharmacy shopping list.